But on the bright side, the Israeli song, “Chai” seemed like a strong contender. It was contemporary, with a melody that could easily fit into the top 40 radio hits of the time. Israel knew it had a chance to score another stunning victory. In the months leading up to Eurovision, there was the usual question of who would be the best Israeli to perform the song. But even with the song’s almost anglicized lyrics and Western sound, there was really no doubt that a 25-year-old Yemenite woman known for her Sephardic melodies was the only Israeli who could do the song justice. Choosing her unified the country. Israel ended up coming in second in the competition, but this was still considered a great triumph. And the woman who sang the song became the voice of a nation. Her name was Ofra Haza, and from that day forward until her untimely death 17 years later, she was a national Israeli hero. Like all “overnight sensations,” Ofra Haza’s jump into stardom was actually the product of almost a decade of hard work singing on the Israeli folk music circuit. While folk music came and went in the U.S. in the early 1960s, the genre dominated the music scene in Israel well into the late 1970s. Yemenite melodies synched well with new Israeli folk styles, and Haza was asked to join the Schunat Hatikva troupe while she was still a teenager. Her work helped the group surge in popularity. Eventually, that provided the major break of appearing on what was Israel’s only national TV station for a Saturday night broadcast of BiTzot HaShabbat (“As Shabbat Ends”), in late 1978. With much of the nation looking for some modern entertainment after the quiet of observing the Sabbath, Haza and the rest of the group made the most of their opportunity while still drawing on almost ancient roots, as you can see and hear in this video of the broadcast. Before the studio spotlights even shine on Haza’s face in the opening number, her voice soars through the screen. The nation was mesmerized. The four years following her resounding Eurovision success saw Haza’s career reach new heights. But much of her continued success came from a risky move. 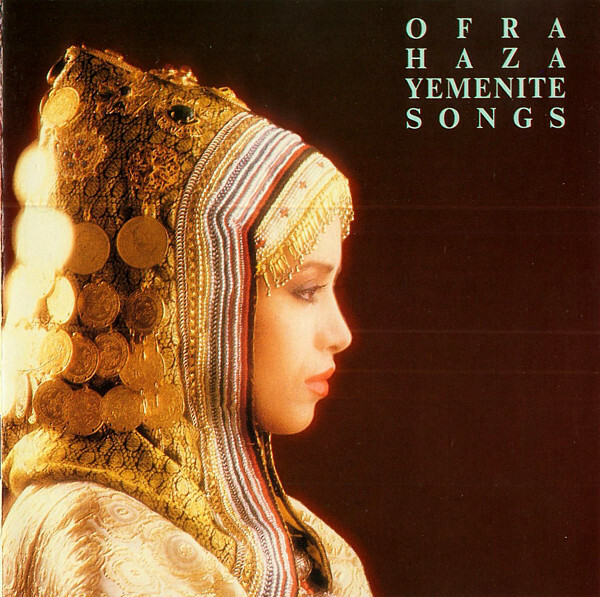 Instead of continuing down the pop music style that dominated her international debut, Haza decided to release an album solely of Yemenite Jewish melodies in Hebrew and Arabic. No agent or record producer in the world would have agreed with that move, but Haza had already established a pattern of matching every mainstream step she took with a corresponding nod to her Yemenite traditions. The move paid off as Haza’s Yemenite Songs album is nothing short of a stunning achievement from the opening notes of her soaring rendition of the Hebrew prayer Im Nin’alu to the final track. Haza’s renditions of the 15th and 16th century songs that dominate the album is mostly augmented with some hand drumming and very light instrumental accompaniment. And yet it still works. Not surprisingly, demand for Haza to perform across the country soared. A grueling schedule ensued, one that caused strife inside her family as her Yemenite-born parents put increasing pressure on her to settle down and get married. The more successful Haza became, the more her mother seemed disappointed that her daughter was still single and childless. Some of her less successful eight siblings often treated her with derision. Like many celebrities burdened with personal conflicts and pain, Haza threw herself into her work. She frequently dropped everything to perform publicly, especially for Israeli troops stationed across the country. One such trip nearly cost her life. On a foggy night after performing at an air force base near Hebron, the small plane carrying Haza, her sister, her agent, and some band members hit the side of a mountain and crashed in the Jordanian desert and was destroyed. Rainy conditions made the search and rescue efforts nearly impossible. For the nine hours that Haza was missing the nation’s news media assumed the worst and much of Israel went into national mourning. But miraculously, everyone survived with just minor injuries and the passengers and pilot simply began walking back toward Israel at about six that morning. They were eventually picked up by Arab workers and brought back home. The Israeli media swarmed to Haza as soon as she left the hospital setting off a day of national celebration and Haza’s reputation as an indestructible symbol of a resilient Israel was solidified more than ever. But that image was a mirage. While international fame and success ensued in the years after the crash, Haza became less and less able to hide the effects of the pressures being put on her by her family and community to get married and have children. During a coveted, but short session on the couch with Johnny Carson on the Tonight Show in March of 1990, Haza started to explain how her own mother had given up a career as a wedding singer to raise children and had been urging her to do the same for more than a decade. Four months later Haza gave her greatest international concert at the Montreaux Jazz Festival in Switzerland. Her 90 minute set there allowed her more time to tell her own story. In the intro to one of her signature Yemenite songs, Ya Bi Yeh, the pain of her difficult relationship with her mother emerges in all its raw pain. The 1990s saw Haza reach even higher highs; collaborating with Madonna, making appearances on MTV, and seeing some of her songs become staples in dance clubs across the world. In 1993, Haza became the first Israeli singer to be nominated for a Grammy in the category of “World Music” for her album “Kirya,” which topped Billboard’s World Music chart. But as she approached that emotionally charged age of 40, her desperation to please her mother and get married finally took over. Just a few months before her 40th birthday Haza married “businessman” Doron Ashkenazi, a man many suspected of having a criminal or at least unethical past. The wedding was a lead story in the Israeli news media for days. But many of Haza’s friends were doubtful about the match and feared the worst. Three years later, Ofra Haza was dead. The news shocked a nation that hadn’t known she was seriously ill until fans began a vigil outside her hospital in the 13-days before her death. Another shock came a few days later when the cause of her death was revealed: AIDS. A national uproar erupted, both over the breach to Haza’s privacy and the argument over how she contracted the disease. Medical experts throughout the country who were also familiar with Haza’s traditional upbringing also feared that she hadn’t sought proper treatment for HIV out of embarrassment. Conspiracy theories ran amok but the focus remained on Ashkenazi whose murky past seemed to be the best explanation for Haza’s horrific end. Ashkenazi insisted he was not suffering from AIDS and suggested Haza was infected by a blood transfusion while suffering a miscarriage in a Turkish hospital. Ashkenazi was never able to prove his side of the story as he died of a drug overdose a year later. But like so many other tragic celebrity stories, it simply appears that Haza was a victim of being unable to match personal happiness with unprecedented professional success. 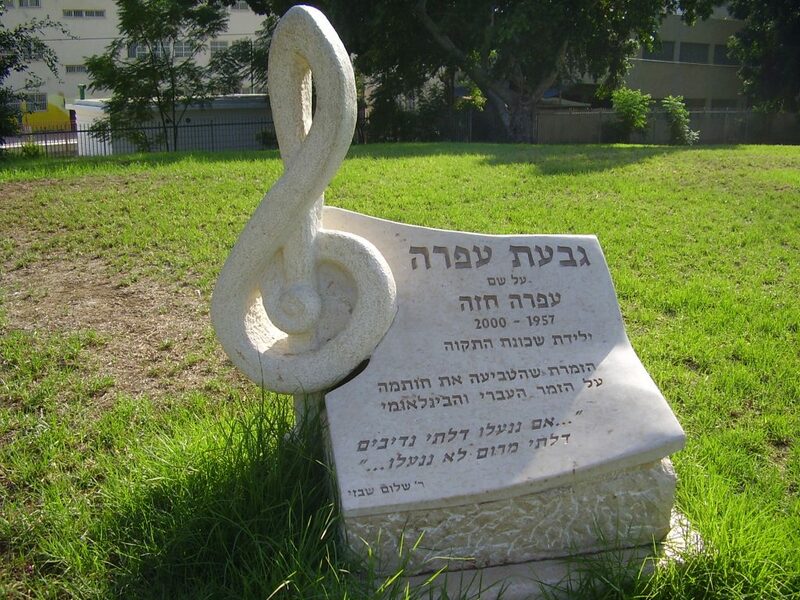 Eighteen years after her death, Haza remains the most successful crossover Israeli singer in history. The song at this link, “Od mehaka la-ehad” (I’m still waiting for the one), is particularly poignant in light of Haza’s story. Anyway Amanda died at the facility. And what a sad ending for Ofra. That Eurovision lanched several stellar careers, includinkg ABBA. I had no idea that Amanda Blake also passed away from AIDS. So sad.